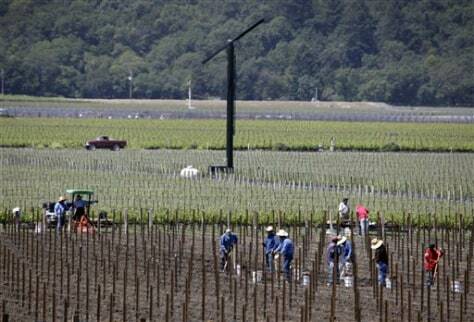 Workers replant prime vineyard property at the Opus One winery in Oakville, Calif., on Monday. Despite the recession, U.S. sales of California wines are up 2 percent more than the year before, the Wine Institute says. But people are looking at less expensive selections.